I had another SOLID month of training!! I completed 10 minutes of core strength daily + I’m still on the green streak in Training Peaks!! I have not missed one workout so far this year…13 weeks and counting!! BOOM!! Love you more and SO glad you’re back in the water!! My graph from my bike ramp test is so pretty!! Thanks Coach Kelly for helping me realize the strength I had didn’t disappear!! Explore is my focus word in 2019 and I’m happy to be incorporating it into all areas of my life…including racing!! I ran the St. Paddy’s 1/2 Marathon with the goal of averaging an 8:30 min/mile pace and I am pleased as a Leprechaun finding a pot of gold with my performance!! I had an overall finish time of 1:51:44 (8:32 min/mile average pace)! I finished 2nd out of 20 in F40-44 and 89th out of 341 overall. I am super excited about where 2019 might take me as I continue to #explore and push my limits!! Double medal race day at the St. Paddy’s 1/2 Marathon where I got 2nd place in my age group! KonaKamps had me inspired by two AMAZING women!! 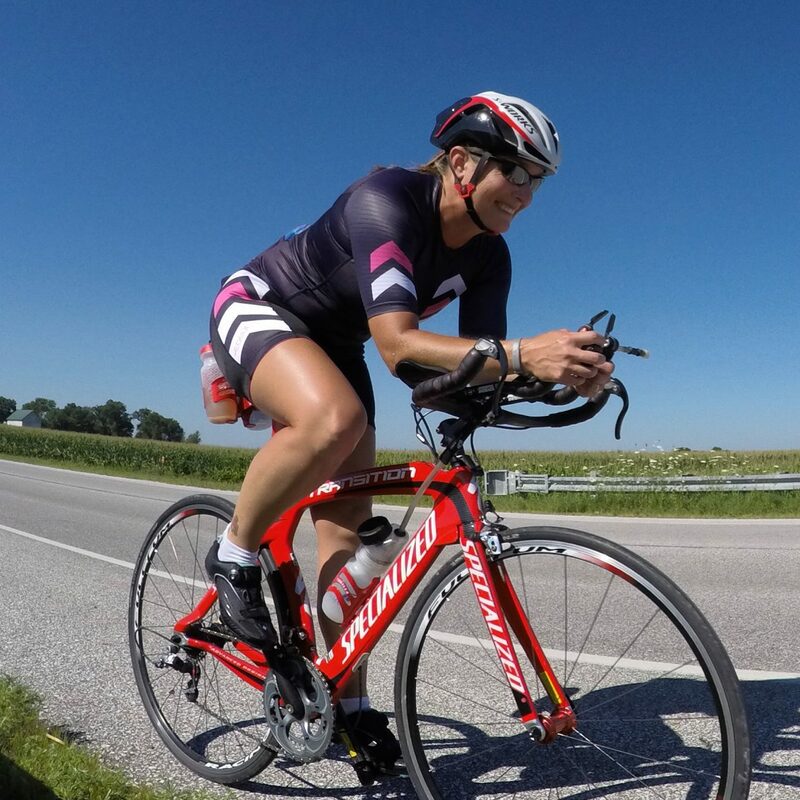 Maggie Walsh won Ironman Maryland 2018 at her FIRST EVER triathlon!! She didn’t just win her age group, she was the first female to cross the finish line and break the tape!! Reiko Donato won Ironman Chattanooga 2018 for women 60-64 on a VERY special day…her birthday!! That’s right!! She turned 60 years old and won!! Jana Richtrova won Ironman Cozumel 2018 for women 35-39. This will be her 7th time at Kona!! Congratulations to all of these amazing ladies!! I strive to have an attitude of gratitude daily, so when I saw the recent blog post by Carrie Cheadle titled How an Attitude-Of-Gratitude Can Also Lead to Better Performance, I knew I had to read it! Gratitude has so many amazing benefits, why wouldn’t people try to be more grateful?!?! She has some great tips for how to start your own gratitude practice! She recommends “bedtime reflection, a happy jar, and a gratitude journal.” Every night before I go to bed, I write down as many things as I can think of that I’m grateful for from the day. I don’t limit myself to only 3 things and I try to make sure I am not writing down the same things everyday. I also try to take pictures of things that I am grateful for and I look back at these pictures at the end of each month as I compose my “What’s Up? !” monthly blog post. Compiling the “Attitude of Gratitude” section of my blog post each month is a great way to remind myself of all of the amazing things that I have in my life to be thankful for. Taking the pictures also keeps me focused on gratitude daily. 42!! My birthday fell on a very LONG work day (teach all day + parent teacher conferences all evening), but this being my last parent teacher conferences ever was one of the best birthday presents I could give myself!! I did get to celebrate over the weekend as I consumed loads of sushi + raced the St. Paddy’s 1/2 Marathon!! Love me some sushi…SO YUMMY!! So grateful I got to see these two beautiful faces…even if it wasn’t for the happiest reason. The first time in my 16 years of teaching that I was given flowers from a student. So grateful, blessed, and lucky to have my fave supporting me, encouraging me, and cheering me on in races and life!! I am so grateful for the sun, bluebird skies, and warm temps for a tank top + shorts while running outside!! I am grateful for noticing the little things in life…the random heart that the cord of our fan made on the floor by my bike trainer. I am grateful that the weather is nice enough to rake up all the leaves and play in them with my favorite girl!! After a tough run (1100 feet of climbing over 7 miles), I was so grateful to find a way to use my Normatec Recovery boots in the car since I had to be there for a few hours post run. Grateful to meet the Iron Hippie’s parents for lunch! So grateful that my body and mind are strong and they allow me to run 15 miles after a busy day at work! So grateful that I got some run love with Robin in the sunshine (even if the temps were cold)! I’ve missed my girl time! How was your month of March?! What were you grateful for last month?! How can you document them in a meaningful way for you?! I had another SOLID month of training!! I completed 10 minutes of core strength daily + I did not miss one workout last month!! BOOM!! 1000 yard straight swim right where I wanted to be! My goal was to complete 10×1 minute Z5 repeats before failure. I successfully completed 15!! BOOM!! I’ve spent FAR TOO MANY MILES here this month, but I’m just grateful that I have an option for running when Mother Nature’s sense of humor doesn’t match mine. Explore is my focus word in 2019 and I’m happy to be incorporating it into all areas of my life…including my work life. Not only have I been exploring in training and racing this year, but in February, I accepted a new gig! At the end of this school year, I will be starting a new chapter. I am pleased to announce that I will be the Teaching Laboratory Coordinator with the Physics and Astronomy Department at Iowa State University!! I am VERY nervous to embark on a new career (I have been teaching 8th graders for 16 years…change is scary), but I am SUPER excited for this new opportunity and can’t wait to embark on this new adventure!! I’m so ready to “explore” in a new career!! 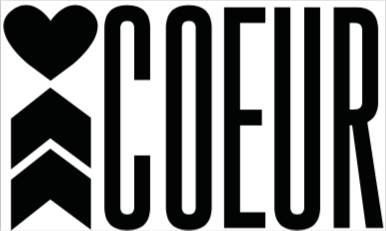 Coeur Sports Earsplitz Podcast!! Voices (featuring Mike Reilly the voice of Ironman) is SO exciting!! He has called over 400,000 athletes across Ironman finish lines all around the world. The things he’s seen, the stories he’s learned about people and the enthusiasm he brings to each finisher over the many, many years is so exciting!! Just listening to Mike brings a HUGE smile to my face!! KonaKamps!! Gah!! So many AMAZING podcasts dropped this month that I can’t keep up!! So many GREAT listens listed below!! The Confidence Code: The Science and Art of Self -Assurance—What Women Should Know by Katty Kay and Claire Shipman is very insightful. “In The Confidence Code, journalists Katty Kay and Claire Shipman travel to the frontiers of neuroscience on a hunt for the confidence gene and reveal surprising new research on its roots in our brains. They visit the world’s leading psychologists who explain how we can all choose to become more confident simply by taking action and courting risk, and how those actions change our physical wiring. They interview women leaders from the worlds of politics, sports, the military, and the arts to learn how they have tapped into this elemental resource. They examine how a lack of confidence impacts our leadership, success, and fulfillment. The finished product! I think they turned out pretty awesome! Because my focus for this year is to #explore, even in training and racing! Not only do I love this team, but I love this girl! These two have two keys to my heart! So grateful for being able to run outside in short sleeves in February in Iowa!! This was DEFINITELY NOT the norm this month!! I’m so grateful to be on #tigerteam19!! My Coeur Sports teammates help me to feel empowered, inspired, connected, loved, and full of joy!! The Skratch Labs cookies are da bomb diggity!! I’m so grateful for the ease to make these!! These 3…I love them all!! So grateful for their unconditional love!! I am so grateful for my Normatec recovery boots…especially after 14 solid treadmill miles!! So grateful for Nick at Vitality Massage for keeping me active and healthy! How was your month of February?! What were you grateful for last month?! Have you ever tried glass blowing?! It seems like just yesterday I signed up for Ironman Louisville and now I’m less than 10 days from race day. How does that happen?! Time just keeps flying by!! Fall has arrived and brought with it MUCH cooler temps (almost like we went from summer to winter without the fall temps) and the changing leaves…both of which I enjoy!! I’m not a fan of the decreased amount of daylight hours, but we don’t have any other option than to endure it. V is for victory!! I nailed my swim session with my second 1200 yard split being 4 sec/100 yards faster than my first 1200 yard split!! + 9 afternoon miles = 17 strong miles Wednesday!! After crushing my 90 minute run/1 hour bike intervals/1 hour run back to back to back Sunday, the hay is in the barn!! I’m #IMLou race ready!! It’s time to TAPER!! I listened to Kona Kamps episodes with Noga Ruttenberg and Megan Pennington. I LOVE listening to Lilias and David interview these amazing women!! They are SO inspiring and down to earth!! All of these amazing volunteers helped us keep T1 in check on IMWI race morning. I’m so grateful for their help!! 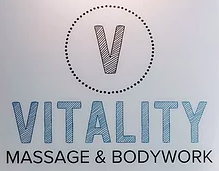 So grateful to have Nick with Vitality Massage keeping me healthy and ready for the next workout! Grateful that Hardcoeur Coaching recognized my #sub6orbust goal at IMOhio 70.3 was achieved. They sent me some goodies as a “congratulations” gift!! Only one way to refuel post long workouts…SUSHI!! Grateful to have Dr. Chris keeping me on track at Team Chiropractic with only 3 weeks left until #IMLou!! Thank you Kyle for putting a new chain on Mojo and giving her your race day blessing!! How was your month of September?! What were you grateful for last month? !